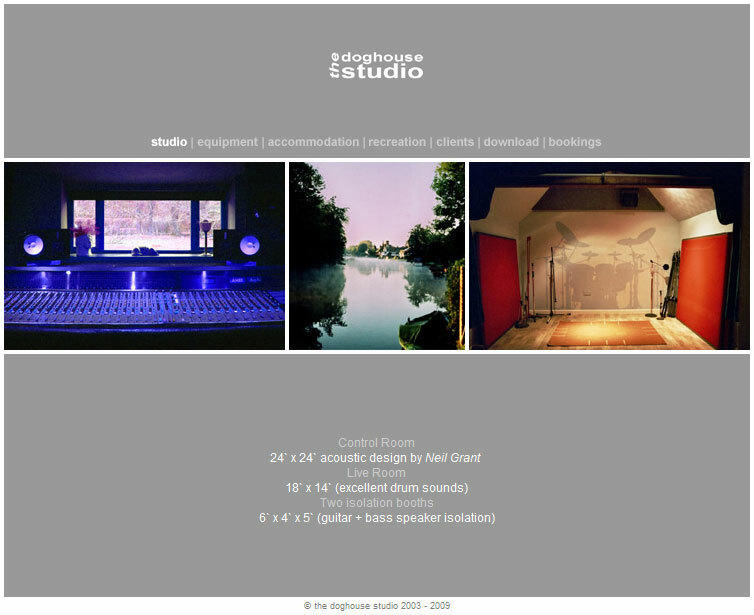 I have this week done some Search Engine Optimisation work for The Doghouse Studio - A residential recording studio based in Henley On Thames, England. I was asked earlier this year to look after the website, arrange Web Hosting for, and to optimise the site by way of ethical SEO techniques. I have optimised the content of the website, both in terms of Site Copy and it's underlying HTML. The website now conforms to W3C Standards, has has some old URLs tidied away with 301 Redirects, and now presents an XML Sitemap direct to Google. I have also begun the process of helping The Doghouse Website gain links from relevant Music Industry Websites, which in turn we hope will deliver more targetted traffic to the site. Please visit The Doghouse Studio.